Hi! It's Sundi here. 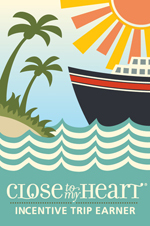 I wanted to hop on the blog and let you all know about the FLASH SALE going on over on my Close To My Heart website. You can take a peek at what's available below. Head on over to www.Sundi.CTMH.com to get a closer look or to shop. It is while supplies last and ends Feb 24th at 2:59pm MT so hurry over to check it out. I am really impressed to your article. It's such a great work. You should be a part of a contest for one of the finest blogs on the web. I most certainly will recommend this website! This article presents clear idea in support of the new visitors of blogging, that really how to do running a blog. Happy October! I can't believe how fast this year is flying by. The holidays are my absolute favorite time of year. I wanted to share with you the Close To My Heart October Promo. You're going to love these cute Punny Pals. Let's team up with the Punny Pals stamp set to make a difference! With the purchase of every Punny Pals stamp set, Close To My Heart donates $7 USD of the proceeds to Operation Smile™, an organization that provides surgeries to repair cleft lips and palates for children around the world. To bring these stamp images to life, we've made a coordinating set of Thin Cuts dies and an exclusive card kit! The card kit includes the dies, card bases, envelopes, paper, and step-by-step instructions for creating 32 cards, and it is available at a discounted price! Create these delightful cards and use them to share smiles all around! Share a Smile Card Kit (CC1342) includes: 1 - Thin Cuts-Punny Pals (set of 13) 32 - 3" x 3" white card bases 32 - 3" x 3" white envelopes 10 - cardstock sheets (Bashful, Eggplant, Glacier, Lagoon, New England Ivy, Smoothie, Sweet Leaf, Thistle, White Daisy, Gold Glitter) Cutting guide and assembly instructions. The Retail Value is $48.69 and the Discounted OCTOBER Price is $39.95. Click HERE to get yours! Share a Smile Card Bases & Envelopes (CC1343) includes: 32 - 3" x 3" white card bases 32 - 3" x 3" white envelopes. Price for this is $9.95. Thin Cuts-Punny Pals (CC1340) includes: 13 metal dies; coordinates with My Acrylix® Punny Pals stamp set (D1751) Stamp set sold separately. Price for this is $28.95. Oh My Goodness... I'm so excited to share not 1 or 2 but 3 amazing August Specials with you! 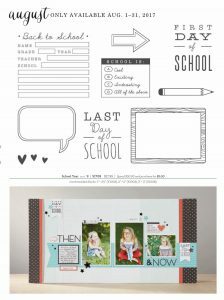 This is in additional to the new product release from out Close To My Heart Annual Inspirations Idea Book and New Cricut Collections!!! Want to join my team this month and earn yourself a Cricut collections, the brand new Thin Cuts Block Alphabet with the In the Background stamp set, or an additional $99 in Select Product Credit?! Well you CAN! To be eligible to pick one of these fabulous rewards, you will need to submit $300 before September 30. Totally doable and totally awesome you'll get a sweet rewards for doing so! If you're ready to join, CLICK HERE!! And we haven't forgotten our hostesses either! For August we are bringing back an exciting special just for hostesses: when a "party" (this can be done all online) reaches the third level of Hostess Rewards ($350) or higher, the rewards will "jump up" a level, which means you'll earn EXTRA Hostess Rewards and maybe even an extra 50%-off item! If you plan on placing a $350 order or more or want to gather some friends orders together so you can earn the rewards, please reach out to me. I can set up a party link for you to place your orders through and earn FREE PRODUCTS!!! If you have any questions at all, please reach out to me. I'm here to help! HAPPY SHOPPING!!! Enjoy all the amazing deals and perks going on this month! Thanks for sharing your article i really like it.Keep sharing good content. It bodes well in light of the fact that the demonstration of perusing is like ruminating. Perusing causes us detach by enabling us to enter a story and feel the feelings of the hero. Much the same as with reflection, when we come back to the present, we're more mindful and loose than previously. I'm currently at the Close To My Heart Convention in Salt Lake City, Utah... wahoo!!! I'm so in aww of all the amazing new products. I can't wait to update you all on all the new releases. If you follow me on Instagram @MandyLeahy, you may have already seen them. One of the big announcements that I'm super duper excited about is the NEW Cricut Cartridges. Yes, that is plural. There are TWO new Cricut Cartridges available. Ahhhhhh! Yay! I've already been receiving some messages from my awesome customers wanting to know if they can pre-order this. You all know the drill from years ago when I would offer that as an option. Sooooo... lets do it again!!!! Beginning August 1st, you can order the NEW Close To My Heart You Are Here Cricut Collection and the Close To My Heart Hello USA Digital Cartridge on my CTMH website. However, for those of you who are interested in pre-ordering either one or both of these cartridges, then I have an AWESOME offer for ya between now and July 31st. Everyone who pre-orders this will receive the BRAND NEW CTMH Annual Inspirations Idea Book, plus FREE SHIPPING!!! Woot woot!!! Just like with our other Close To My Heart Cricut Collections, the You Are Here Cartridge has 700 images! Whether you're taking a road trip, camping, having a fun staycation, wine tasting or even traveling abroad... this You Are Here Collection will feature loads of images to help you document the memories. It has images that will even work for family reunions and spa retreats to holiday trips and other outdoor adventures. You'll absolutely love all the shapes, phrases, titles and the super cute font. This collection includes the You Are Here Cartridge, 3 My Acrylix Clear Stamp Sets and a pack of the Enchantment cardstock combo pack. The Collection cost for You Are Here is $99 if you'd like the physical cartridge or $79 if you'd like the digital cartridge. We also have a new DIGITAL Cricut Cartridge called Hello USA. So if you have a Cricut Explore, Cricut Explore Air or a Cricut Explore Air 2 then this one works for you. It includes 60 layered images from state shapes, overlays and even the names of all 50 states, plus the local flowers, state icon and slogans. There is an additional 10 images about the United States, the different regions and American Flag. I have no doubt this one is going to pair up really nicely with the You Are Here Cartridge too. The cost of this Hello US Digital Cartridge is $49.95. If you'd like to place a PRE-ORDER, you can make your selection from the following options using the drop down menu below. Keep in mind there are two cricut cartridges available and the You Are Here Collection comes in both a digital and a physical cartridge. While the Hello USA is only available in the Digital option. You'll be able to pick 1 or both and have the option to add on this super cute School Year Stamp Set which is the August Stamp of the Month. It is so cute! It's only $5 if you'd like to add that. Please note: All Pre-Orders will be placed on August 1st as soon as products are live. The Idea Books will be sent from me as soon as I receive my shipment which should arrive within the next week or two. Products featured in the Idea Book are not available for purchase until August 1st. There is loads of inspiration and ideas that I know you will absolutely love! If you want these Cartridges sooner than August 1st, you can become a Close To My Heart Consultant and as a Consultant Perk you'd be able to order them starting July 1st. If you're interested, check out my Join CTMH page! It's just $75 to join and you receive a $50 Select Product Credit (can't be applied towards a cartridge). If you have any questions, please let me know. I'm here to help! The post is written in very a good manner and i am very pleased with this blog overall work. I bookmark this blog because very impressive points I’ve learned from this blog, will surely recommend this blog to my friends, also thanks for this awesome post! I was a busy bee crafting away this weekend. I've been having so much fun making things for my planner. I decided for this months Blog Hop with my Damask Divas Team featuring Hello Lovely, that I'd make some more goodies using this adorable Hello Lovely paper pack. I ended up making A5 sized dividers, matching clips, a charm using our Base & Bling Jewelry and some page markers. Then I grabbed the Hello Lovely Scrapbooking Stamp Set and random stamped the top section of the Inkwell Press Planner Pages. I'm so obsessed with this weeks setup in my planner and how it's all so Hello Lovely. ;) For the stamping I used the Plan On It Stamp Set.... I love it!!! What do you think? To make the dividers I used Cricut Design Space. It was super easy to make. I just used a square and unlocked it to make it a rectangle shape in the dimensions of my planner and then searched images for "bracket" and located one that was with Cricut Access. I divided the length of the dividers by how many tabs I wanted which was 5 and then copied and pasted 5 of them in the size needed. I also copied and pasted 5 of the rectangles and then 1 by 1 I welded the bracket with a rectangle. It's really easy but if this is going way over your head and you would like the link to the ones I created, well... you're in luck. :) I'm happy to share. Here you go: LINK TO MY CRICUT DESIGN SPACE DIVIDERS. If you pay for Cricut Access, the bracket will not cost you anything. If you don't have a subscription it will probably ask you to pay 99 cents for the use of the bracket. The laminator I use is the Scotch Thermal Laminator. I've been really happy with it. It's heats up quickly and easy to run my projects through. I used our Liquid Glass adhesive to attach the laminated pieces (which were from the Hello Lovely Complements) and then just attached them to paper clips. I love having the pieces stick up the top of my planner. For the planner charm I used the Base & Bling Rectangle Pendant, the bow, the rhinestone and the glass cover. I cut a piece of the Hello Lovely paper to fit inside it. You can check out the Base & Bling items, HERE. I hope you'll HOP with us and check out some of my fabulous team members Hello Lovey Projects as well. CLICK HERE to visit Jessica's project. If you get lost along the way, you can visit our team blog by clicking HERE. learning is an act of exploration that's way there is no age of learning something. Thankyou so much to sharing high level of information with us! God Bless you. Amazing article as always the article you published was great and interesting. Thank you for the post. I really loved the way you written this post.Keep sharing your ideas with us. The blogger importance about hardworking is showing in this blog for that he told us more about weekly planner and its update techniques. I really like your creative designs it was looking good and unique keep sharing your good and creative ideas. Really a nice post and also really a awesome blog I've ever found while searching <a href="https://dissertationhelp-uk.co.uk/">UK dissertation writing help</a> on web and i am very pleased with this blog overall work, everything is well researched and maintained i will surely recommend this blog to my friends, also thanks for this awesome post! These are great and give me plenty of good ideas for myself! Very pretty. I am trying to download the dividers that you have shared in Design Space but it keeps saying not available. I would love to use them for my daughter and I.
Mandy, I just love your planner pages, base and bling, and those paper clips. I am making it all once the rest of my order comes!